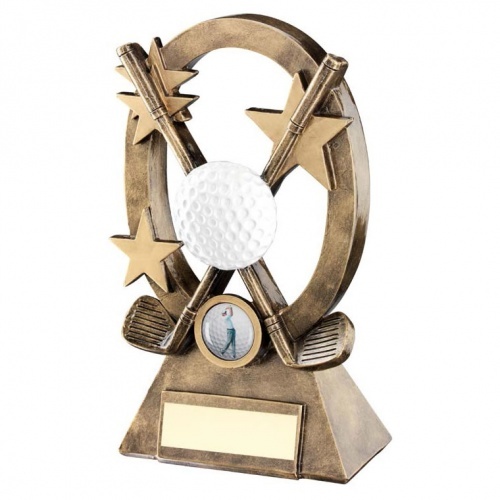 These versatile golf trophies are suitable for both team / club prizes and for individual player awards. They are also suitable for both male and female recipients of all ages. Made in durable resin with an attractive antique bronze and gold colour finish, they feature an oval shaped frame enclosing two crossed golf clubs and a white golf ball, with gold stars and a 1in golf theme centre. The awards are set on a base with engraving plate and are available in three size options.